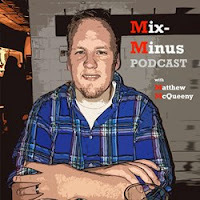 Mix-Minus Podcast | Matthew McQueeny: Heil PR40 & Electro-Voice RE20 - Great Bundle Deals! Heil PR40 & Electro-Voice RE20 - Great Bundle Deals! Two microphone stalwarts in the broadcasting field are the Heil PR-40 Dynamic Studio Recording Microphone and the Electro Voice RE-20 Cardioid Microphone . The microphones are not necessarily cheap. However, there are times when you can bundle them up with all of the ancillary gear needed to help them shine, all within a more palatable price with all things considered.